The rally, which many believe confirm that the bear market bottom is now in due to the first ever cryptocurrency painting a higher high on price charts, saw so much trading volume across Bitcoin and Ethereum, that volume reached levels not witnessed since the peak of the last cryptocurrency bull market. Ever since Bitcoin’s parabolic advance was broken at the tail end of 2017, its all-time high of $20,000 has become a distant memory, and bullish sentiment and general interest has all but left the crypto market. As less investors and traders flocked to the crypto space, trading volumes across top crypto projects has diminished significantly. Trading volumes often drop during period of indecision, but volume can also drop as trends begin to lose their steam. It’s not until a major movement occurs, that volumes begin spiking again, often confirming a trend continuation or reversal, depending on which direction the movement goes. Throughout the 2018-2019 bear market, volume has continually diminished. It began to ramp up during the fall through $6,000, but quickly dropped back to the low levels. Following the longest bear market for Bitcoin on record, a major trend change occurred during last week’s rally, that took Bitcoin price from resistance at $4,200 to $5,200 in a matter of an hour. The powerful movement also brought with it a significant surge in trading volume, confirming that the move was genuine and that a trend reversal may be a reality. Certain indicators suggest the reversal to be legitimate, but bears have yet to give up as is evident in the latest pullback. 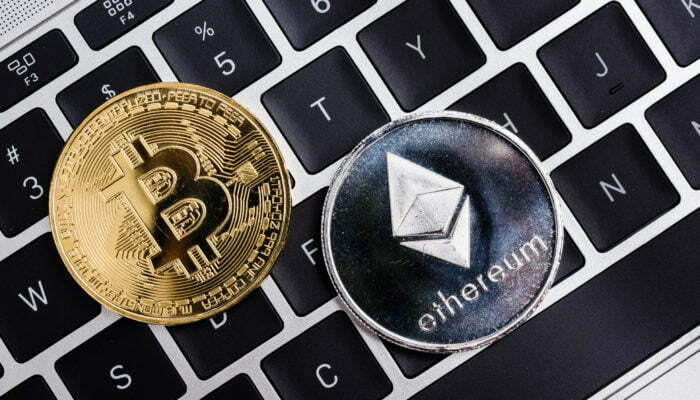 That surge in trading volume across both Bitcoin and Ethereum, reached levels not seen since back in 2017 when cryptocurrencies went parabolic and took the mainstream public by storm. At the time, a media blitz lured retail investors to cryptocurrency exchanges in droves, seeking to strike it rich from Bitcoin and its altcoin cousins. Related Reading | Is Over $3 Billion Is Sidelined Waiting to Enter Bitcoin and Altcoins? It’s worth noting that the data former Bloomberg financial journalist Camila Russo used is from CoinMarketCap, which has recently been put under the microscope due to claims of falsely inflated trading volumes. While there is validity to these claims, the comparison is being made against previous CoinMarketCap data, so the sample data should represent similar levels of trading volume, wash trading included.